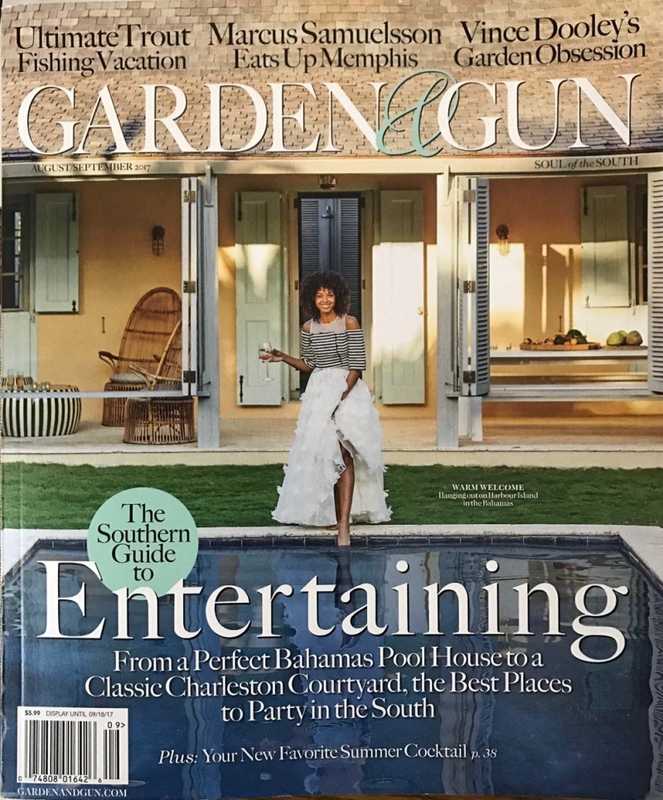 Featured in Garden and Gun Magazine! 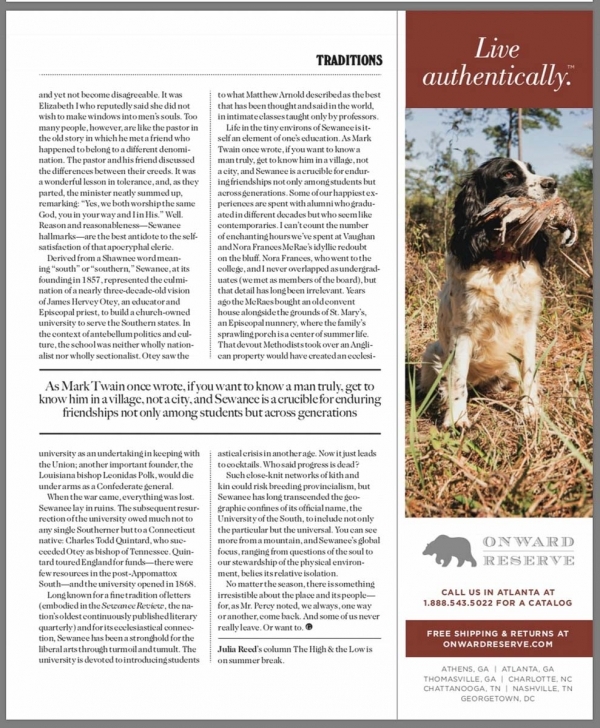 I’ll have to admit I was pretty excited when I got a call from a representative from Garden and Gun Magazine, about a month and a half ago, asking to use one of my paintings in an article about Sewanee written by Jon Meacham for the upcoming issue. Without hesitation I told her I would have the image to her within the next few hours. At this point I’m just praying that I actually even took an image that was high enough resolution to use in the magazine. 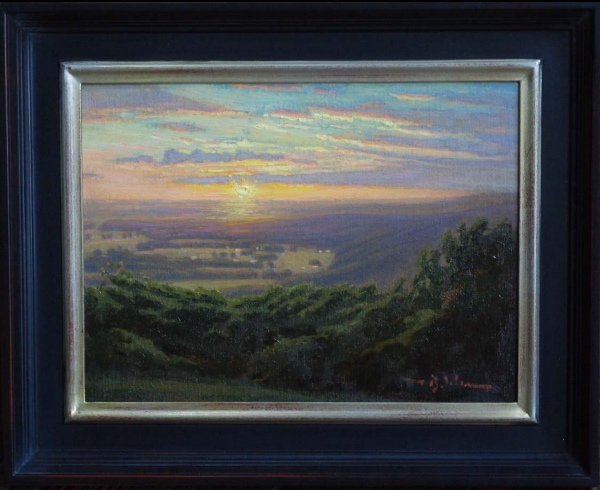 The painting she asked about is ‘Sunset from the Cross’, a 12×16 painting that I was commission to paint several years back, when I was living in Sewanee. Odds are that I just snapped a quick photo on the easel before the painting went out the door. So I commenced to searching through my old macbook that’s covered in paint and loaded down with so many images, maxed out to the point that I’m afraid it’s going to crash for good every time I open it. And if you know me, you know that I’m not the most organized person in the word. Let’s just say that my painting skills are far better than my organization skills, which, trust me, is not bragging by any means. Much to my surprise, within an hour I was able to track down an image of the painting labeled ‘hirez’, and I’m just praying that it truly is high resolution. I sent it on immediately and she responded that it would work perfect for the article. It’s truly an honor to have one of my paintings of Sewanee in Garden and Gun Magazine. Sewanee is a special place with timeless beauty. The words of William Alexander Percy that Meacham quotes in the article certainly ring true, “It’s so beautiful that people who have been there always, one way or another, come back”. Two years ago me and my wife were married there and it continues to be one of my favorite places to go back to and paint. 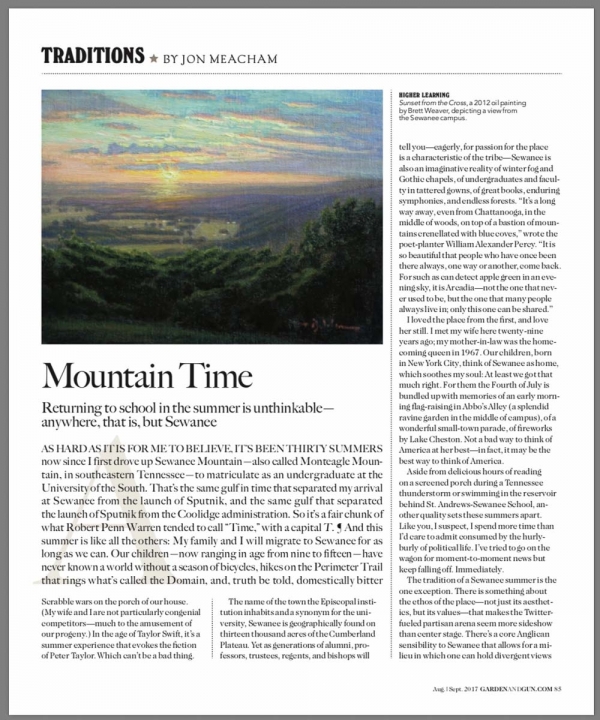 The painting ‘Sunset from the Cross’ is featured in the article ‘Mountain Time’ in the August/September 2017 Issue of Garden and Gun Magazine which is currently available on the Newsstand.